The company behind Marmite has donated £18,000 to the RSPCA after some viewers said its latest advert trivialised the work of animal welfare agencies. "Marmite have put their money where their mouth is," said Matt Cull, a fundraiser for the Royal Society for the Prevention of Cruelty to Animals. 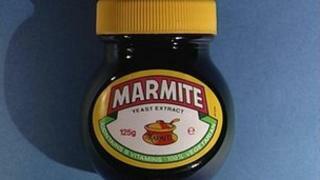 The TV advert, in which a spoof rescue team "saves" neglected jars of Marmite, has now prompted around 400 complaints. A spokeswoman for the Unilever-owned spread said it had not meant to offend. "Marmite have offered us £18,000, which is how much it costs to run our inspectorate service for one day," continued Mr Cull. "This will make a massive difference to the animals and we are very grateful for their generosity." Some 250 complaints were received by the Advertising Standards Authority (ASA) in just 24 hours following the advert's debut on Monday evening. According to the ASA, the complaints are being monitored, but no further action is being taken at present. On the Marmite Facebook page, opinion on the advert was split. "I'm sorry, the advert is in poor taste," said Laura Bellis. "Really. Mocking the NSPCC or NSPCA [sic] is wrong." But Dave Norris disagreed: "It's a brilliant advert. Very funny and highlights animal charity work. Let's have more like this please."